Today is the last day of sneaks for the MFT September Release Countdown. Tomorrow is the day to shop! I have one last card for this months countdown. Today's card is the perfect quick and easy birthday card. 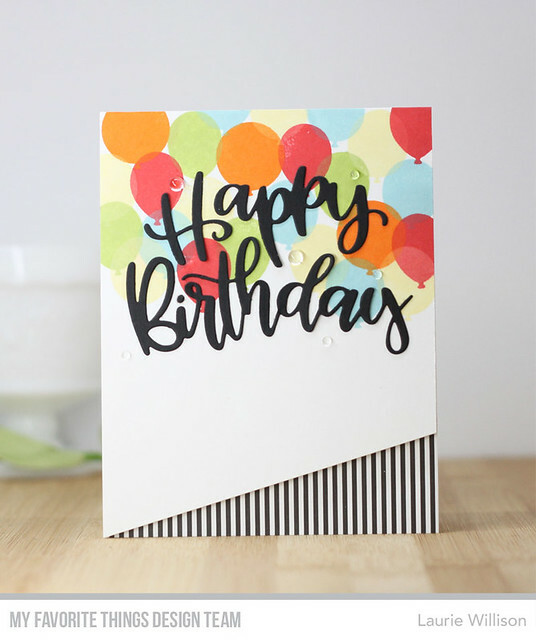 I grabbed the set called Bundle of Balloons and stamped them around the top of the card. 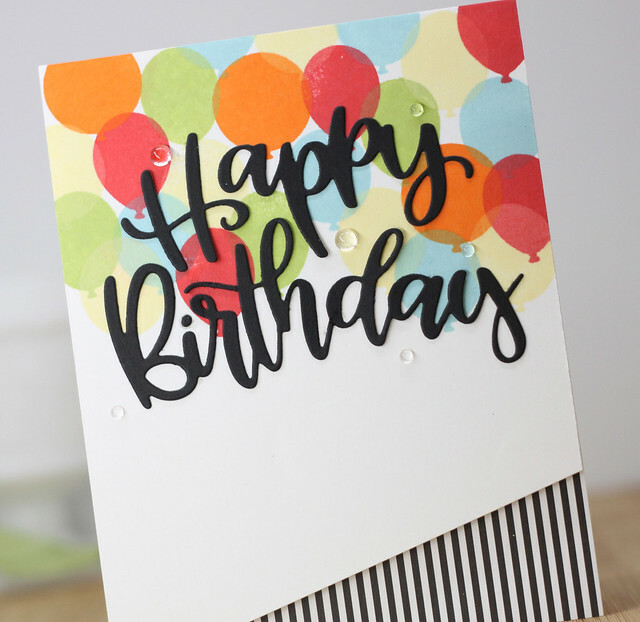 I took the new Happy Birthday die and added that to the card in black cardstock. I cut an angle of the card front along the bottom and then added it to the card base which I lined with the Black and White Striped paper. Last, I added some dew drops around the front for a little extra fun detail. Love this happy and fun Birthday card!! Love the layout of this card. Simple but so unique. I'm so loving those balloons. Love this script Happy Birthday. It is such a nice size. Looks marvelous with your pretty balloons. Nicely done. Your layout is wonderful. Lovin' the slant. Those stripes ground this perfectly! What a great design Laurie, fantastic card! Such a fantastic design Laurie--love!